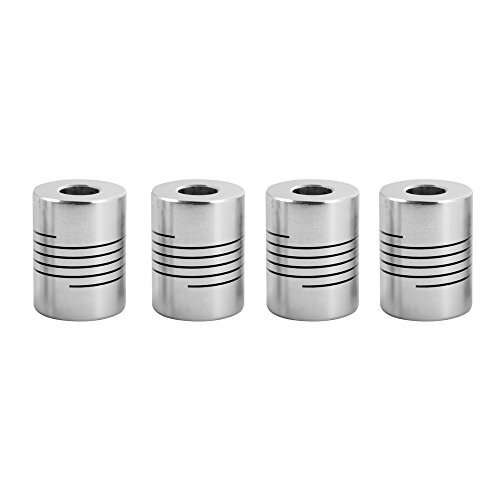 The motor shaft coupler provides an extremely tight grip without marring the shaft. Compatible with NEMA 17 stepper motors (for 5mm shaft diameter). Fits for RepRap 3D Printers or small CNC machines. Compatible with NEMA 17 stepper motors (for 5mm shaft diameter). Fits for RepRap 3D Printers or small CNC machines.